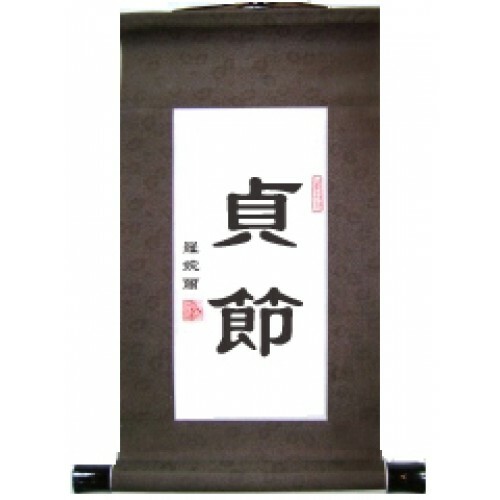 Chastity is considered a virtue both in traditional Chinese culture and in the Bible. It is the Chinese translation for the word that often appears as "purity" in English Bibles. It is generally used for young women and portrays a pure and chaste character. 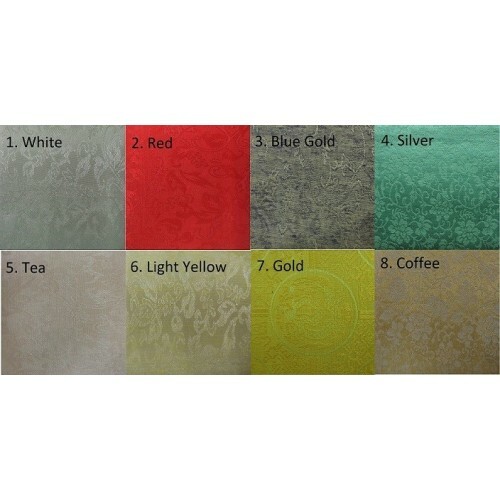 The main photo with coffee colored edging is a computerized image showing the characters that will be on the scroll. 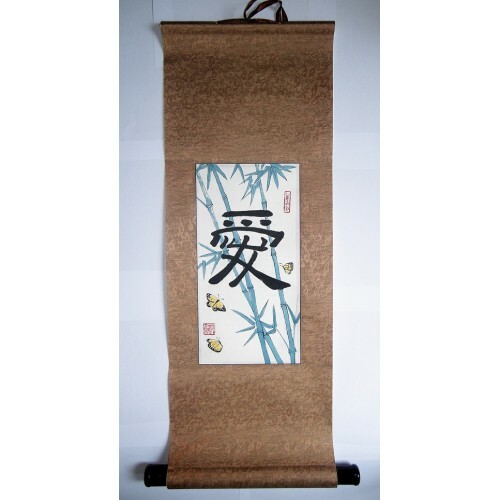 The other sample pictures are example of similar hand painted scrolls with different characters. 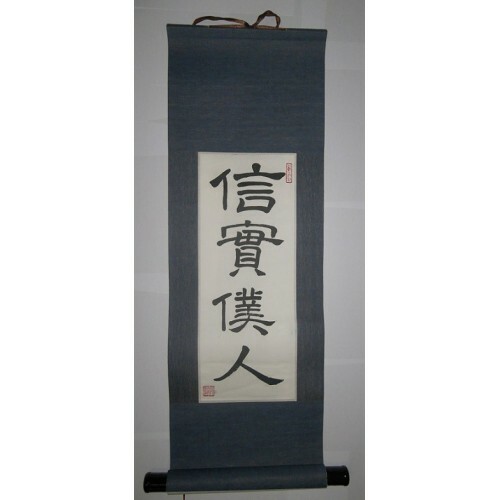 All of our scrolls are 100% hand painted and hand made.